Of course you will find tons of Almera pictures browsing other pages of this website. Jorge J. Rapallo is a passionate photographer who loves to capture the beauty of his home country. Not in vane Almeria was and still is a popular filming location and open photography site. Its natural light and colors invite photographers to become creative. 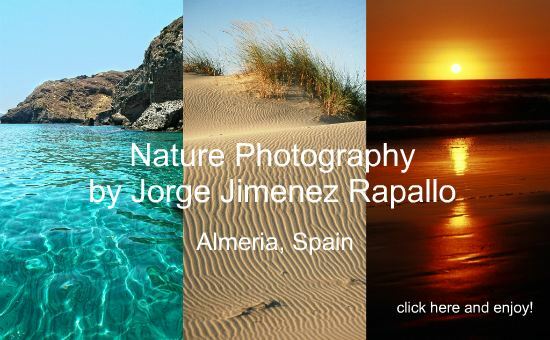 Watch Jorge's photography video "Light and Colors - Embassadors of Almeria" or view his beautiful, inspiring art photography with details captured in Almeria city: Enjoy! The following slide-show consists of pics mainly shot by local Spaniards, very talented people from Almeria. They all have one thing in common: They are hobby photographers, not only addicted to their camera but also to their home country Almeria. They expose their pics on flickr and the following are my favourite ones. 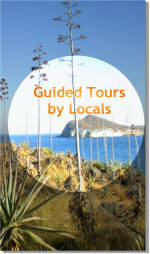 I hope you enjoy the beauty of Almeria province in Andalusia (Southern Spain). Lean back and enjoy the show and when you have finished you will feel as if you have already been there - Promise!